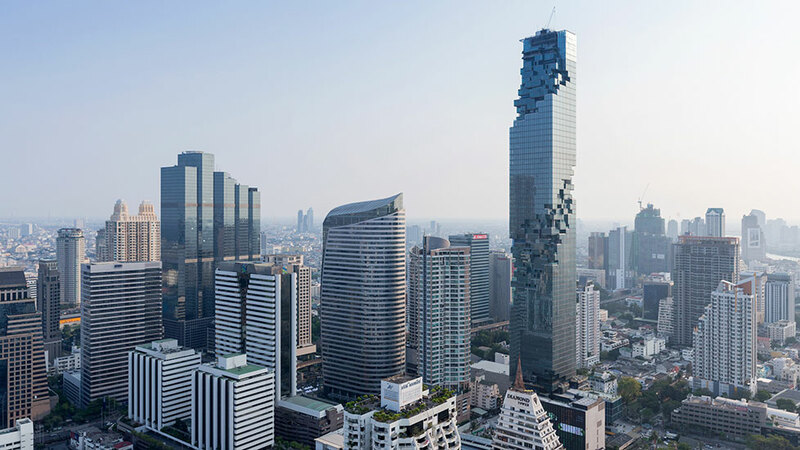 MahaNakhon in Bangkok, Thailand's tallest tower with 314 meters, has been selected as a finalist for the 2018 International Highrise Award. Initiated by the city of Frankfurt and the German Museum of Architecture (Deutsches Architekturmuseum), the biannual award ceremony will be held on November 1st, 2018. Selected as one of the five finalists, MahaNakhon in Bangkok acts as a prototype that generates shared spaces of urban and social interaction. An example of how architecture can engage the city and surrounding social space, it stands strong as a representation of the city’s aspirations and position as a global city of unique and powerful qualities. An exhibition titled "Best High-Rises 2018/19" will open on November 3rd.